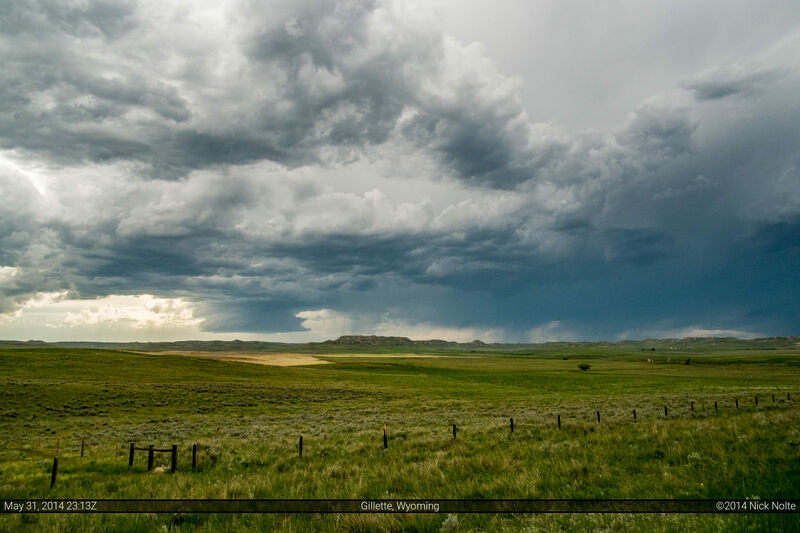 The strengthening surface low was expected to pull moist air into Eastern Montana, pushing dewpoints into the upper 40s and low 50s with easterly surface flow while surface temperatures were expected to climb into the low 70s. I had met up the day before with Jonathan Williamson in Spearfish, SD after a leisurely drive across South Dakota. We wanted to target an area north and east of the surface low where the higher dewpoints were expected to pool and, hopefully, take advantage of the easterly flow there as well. Our initial target was Broadus, Montana. We departed Spearfish for Broadus shortly after 17z and took in the sights along US 212. We arrived in Broadus just a couple of hours later and shortly, thereafter, the Storm Prediction Center issued a Severe Thunderstorm Watch for eastern Montana. 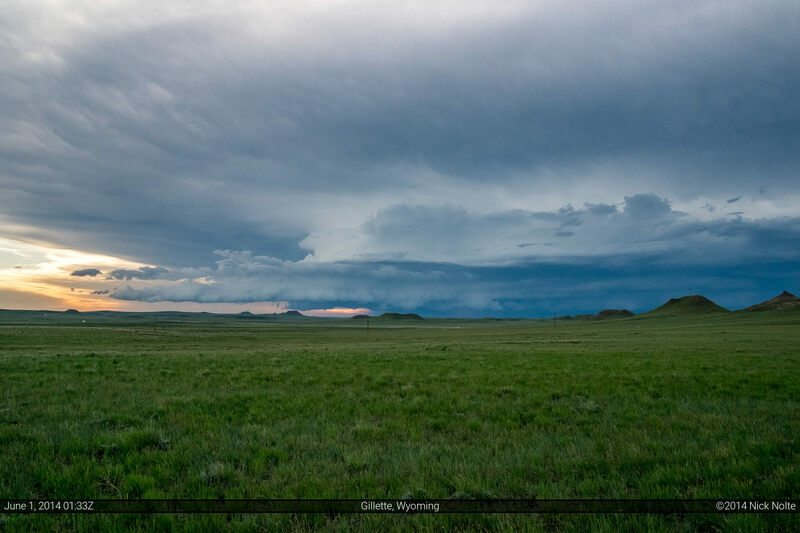 Storms had started to fire quite a way to our northwest, but we were concerned at the lack of moisture that far north and decided to hold tight and hope storms formed closer to Broadus or even south into Wyoming. Eventually the Cumulus field to our south started firing cells and we started south towards Gillette to play the southern storms and eventually intercepted the first storm northwest of Gillette just after 23z. The radar presentation of the storms was less than impressive and they presented as such once we got visual in the field. Each cell we could see around us was fizzling in and out so we moved to check out the beefier cell southwest of Gillette and it presented a more photogenic opportunity. We watched this storm until sunset then prepared to get in position for the following day which was looking to be somewhere in Nebraska and Kansas along the US 83 corridor so we had a long drive ahead of us to get somewhere near the target area without having to drive forever the following morning. So, we sucked it up and drove for 6 hours to Ogallala before hitting the hotel for some sleep.